Year 12 – WHAT NEXT? If you are avoiding making a decision about what to do in 2018 it is probably time to take a look at your options. This simple summary of the main choices available to West Australian school leavers can help you to clarify your decision. I have the information summarized in a chart which I am happy to send to you if you message me. You can ignore making a decision about what to do in 2018 but next year will not stop coming just because you ignore it. If you are not clear about what to do in 2018 get help. See your school career counsellor. Get free advice from the Careers Centre in Forrest Place Perth or in regional centres. Each Western Australian university and TAFE College has free career counselling. You are under no obligation to enrol at the place where you get your counselling. Consult a private career planner. Your decision to study may depend on finances. If you are 18 – 24 and you have supported yourself for 18 months you MAY qualify for Youth Allowance. Check the Youth Allowance site to see if there are any benefits that you are eligible for. There is an Ask for Help button which could save you hours trying to get through on the phone. If you need to leave home to study don’t forget to ask about travel allowance. Also check for financial assistance on the Good Universities Guide site HERE. There are scholarships for so many purposes, not just academic excellence and they are often only available when you start university or TAFE. Search online for scholarships in your field. The Good Universities Guide tries to capture most scholarships on its site. Ask your career advisor for help searching for scholarships. If you want to study in 2018 deciding on uni or TAFE will be a good start. Guess which fashion course is at Curtin University and which is at South Metropolitan TAFE. In this (course) you will focus on the relationship between garment and body, using a theoretical and contextual framework for understanding national and international trends and the cultural significance and practice of fashion design. In our course you’ll learn how to produce a unique range of garments and accessories for the marketplace. You’ll gain fashion illustration and drawing skills and learn about digital design, pattern making and garment construction. If you thought the first one was Curtin you are right. University has a more theoretical approach to learning while TAFE has a more practical focus. Pick the learning style that suits you best for 2018. Very few people have a clear idea of what they want to do at university. If you want to start university in 2018 but are not exactly sure what course or subjects to take, apply the same thinking you used in Year 10 when choosing WACE subjects to keep your opportunities open. Talk to your school career counsellor about what course to apply for and subjects to take. Go to see a career planner at one or two universities to clarify what course and subjects you wish to take. Decide on your top choices. Apply to your chosen university either via TISC or via Notre Dame or your chosen university. If you MIGHT want to go to uni in 2018 APPLY through TISC. If you get offered a place you can accept and DEFER for a year. Read Is the Uni Bus Right for You? When you get an offer contact your university to hold your offer and defer it to 2019. If you want to go to uni in 2018 but don’t get the required ATAR score there are many alternative pathways you can take. Some universities will consider your current scores if you have a year between leaving school and starting university. They consider that the break can result in you gaining maturity that will help you to succeed at university. Contact me and I will send the latest WA information on alternative pathways at all WA universities including TAFE colleges. See a career planner at the university or training college of your choice. Decide on your best option. Apply for the alternative pathway of your choice. If you are clear about what TAFE course you want to take in 2018 contact your chosen college to enrol. Full time TAFE enrolments open on 1st September. Go to see a career counsellor at TAFE to clarify what course and subjects you wish to take. Ask the counsellor to advise you about courses that are subsidised by government because of skills shortages. These courses are on the State Priority Occupation List (SPOL) and are cheaper than many other courses. Decide which course to enrol in. Apply for a place in your chosen course. Check the college website for online applications. Getting an apprenticeship or traineeship is like getting a job. Get the apprentice job search app here. That will help you to find your local Group Training Provider in WA. Get help from your school career advisor to prepare your CV ready for job applications. Get references from school before you leave and get copies of them. Get the correct title and contact details of those at school who give you a reference. Ask your family and friends if they know of any apprentice opportunities. Search for apprenticeship opportunities on sites like Indeed, Jora and Seek. There is a list of apprenticeship mentor services that can lead to you getting an apprenticeship. Contact me for the latest list. Ask your local TAFE if they have any pre apprenticeship programs. They can be tricky to get into as demand is always high. Employers often contact their local TAFE to find a good employee to take on as an apprentice. The Victorian Government provides free unbiased advice about taking a Gap Year HERE. If you want to keep up with emerging career opportunities, scholarships and trends, subscribe to the In Focus Careers newsletter. Contact me for a free sampleBev.J@infocus-careers.com.au of M: 0434056412. 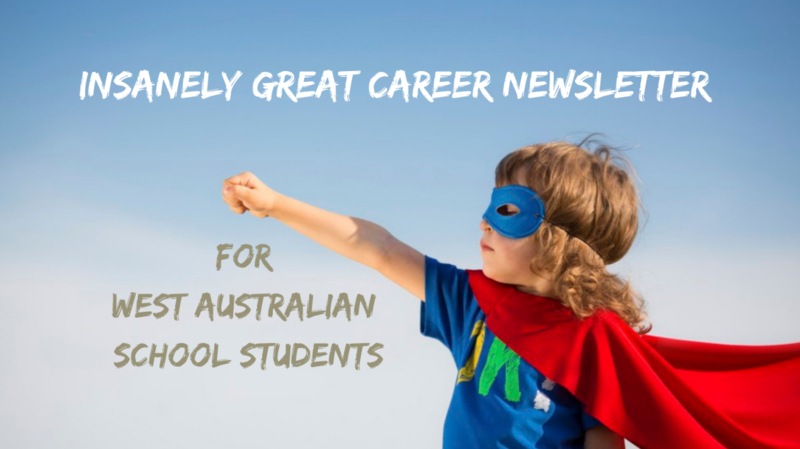 Categories: Career Advice, Parents, Senior school, University, Vocational Education and Training | Permalink.